1. Burnt saucepan? Scrape off as much of the burn as you can, cover with water, and add 1/2 cup of salt, then boil for 20 minutes. Remove pan from heat and let stand for 30 minutes before scrubbing and watch the burn vanish before your eyes. 2. Toss some salt onto a stubborn kitchen counter stain and scrub with a damp dishcloth. The salt will act as an abrasive and the stain should disappear, no nasty chemicals required. 3. Oust those pesky ants by sprinkling their main thoroughfare with salt. 4. Aching tootsies? Soak them in a salt bath: 12 cups (3L) warm water, 2 tbsp salt and 2 tbsp baking soda. 5. Fill a nail hole with a mixture of 1 tbsp salt, 1 tbsp corn starch, and 2 tsp of water to make a thick paste. Let dry and sand if necessary. 6. Wash dirty green vegetables such as spinach in a sink of mildly salted water to make them easier to clean. 7. Had a red wine spill on the carpet? (We’ve all been there.) Blot up as much as possible, adding cold water to dilute the colour. Cover immediately with a generous amount of salt, then leave until dried – the salt should absorb the wine. Vacuum up salt and rinse with cold water. 8. Have your curtains or clothes in the cupboard been tainted by mould? Salt to the rescue! Rub mildew spots with a paste of lemon juice and salt, then rub with a soft cloth, rinse very thoroughly and put through the wash again. 9. Has cooking dinner left you with hands smelling of garlic? Rub them with lemon juice and salt, then rinse and wash with soap. 10. Been piercing body parts again? (Oh, you!) Soak your piercing in a simple saline (salt) solution of 1/2 cup warm water + 1 tsp of sea salt to speed up the healing process. 11. 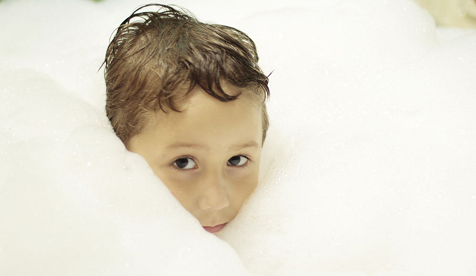 Has your toddler lost it because there are ‘too many bubbles’ in the bath? (Kids, eh?!) Sprinkle them with a pinch of salt and watch them disappear (the bubbles, that is, not your children …). 12. Run out of toothpaste? Use equal parts of salt and baking soda (with a drop of peppermint extract if you like) instead. Dip your wet toothbrush in and brush away! 14. If your dish boils over onto the oven floor, sprinkle salt on top to stop smoke and odour. Once your oven has cooled, you can easily wipe the spill away. 15. Remove stains from old teacups by rubbing with salt and a bit of water. 16. A paste of lemon juice and salt is a formidable stain removal force, even able to send rust marks packing. 17. Stuffed up nose? Snort a solution of 1/4 cup warm water and 1/2 tsp salt and then blow! Breathe easy once more. 18. Remove odour from a chopping board by pouring lots of salt over the top of it, then rubbing lightly with a damp cloth. Wash in warm, soapy water. 19. Woken up feeling like you’ve been swallowing razorblades in your sleep? Gargle with 1/2 cup warm water and 1/4 tsp salt for relief from your sore throat. 20. Add a pinch of salt to your fresh-cut flowers to help them last a little longer. 21. Draw the bitterness out of chopped eggplant by salting. Let stand a few minutes and then rinse before cooking. 22. Revive your skin using salt. Exfoliate your skin by rubbing it with equal parts olive oil and salt before your bath (do it in the bathtub to avoid a mess!) Then throw 1/2 cup Epsom salt or sea salt into your bath water and you’ll be smooth as a baby’s bum when you get out. 23. When doing a load of colours, add ½ cup salt to the washing in order to enhance the brightness of the clothes. The reason this works is because salt is used to set the coloured dye in the manufacturing process and it works particularly well with new or recently bought coloured clothes. 24. 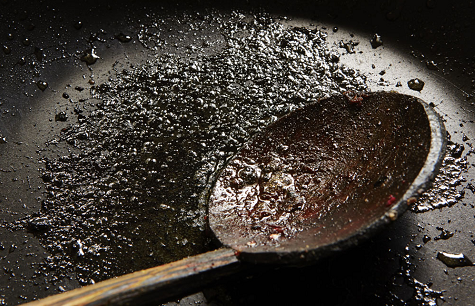 A greasy pan will wash easier if you rub a little salt on it first. Wipe with a paper towel and then wash pan in hot soapy water. 25. Toss salt on a grease fire. Never use water. Also helpful if you’re cooking a barbie and your snags catch on fire. 26. Stinky thermos? Add salt and a little hot water. Cap, shake and rinse. Smell gone-ski. 27. 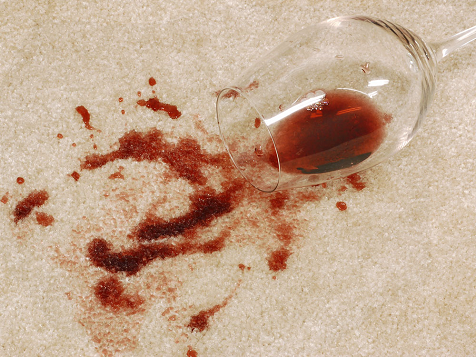 Remove blood stains from fabric by soaking item in cold salt water, then washing in warm, soapy water. 28. Keep sliced potatoes, apples or pears from browning by placing them in a bowl of mildly salted cold water. A salt soak is also a good way to revive older, wrinkled apples. 29. 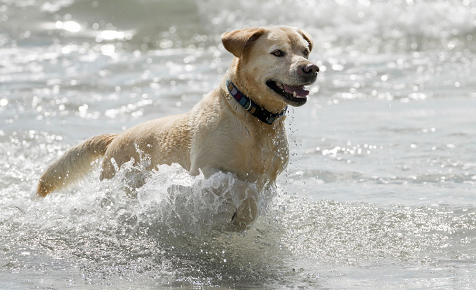 Salt can repel fleas, so dunk your dog in the ocean before you head home from your walk or give him a bath in some salt water. 30. Smelly shoes? Simply sprinkle some salt into your shoes at night before you go to bed and then empty it out in the morning for fresh and deodorised shoes.